Do you want to drive sales to your website and connect with more customers? As part of our range of marketing services available here at igoo, we also offer Google Shopping. Advertising with Google Shopping is one of the most effective ways to increase online sales. You can list your products in Google Search – something your competitors may not be doing already. If they are, you can appear alongside them, accessing your market more effectively. Shopping Ads include a product image and price information, meaning potential customers can compare vendors easily and arrive well informed to your product page. Like Google Adwords, you are only charged per click, and your customers are more likely to buy as they’ve already seen your prices and product details. 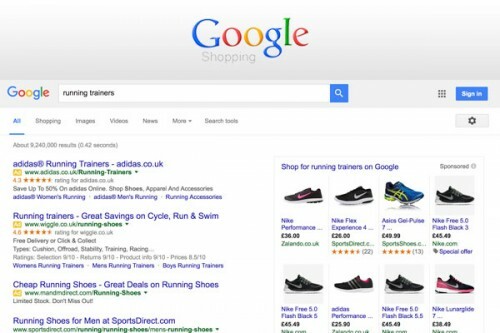 If you want to explore online advertising, get in touch and we’ll explain how Google Shopping could work for you.